Singer’s modern designs often integrate elements of light and nature, such as in the venue for the Friends of Architecture talk. Updated Friday, Feb. 17, 8:30 a.m. Subsequent to publishing, this talk was postponed due to expected rain. No new date had yet been determined. Friends of Architecture invite the public to join Ryan Singer and architectural historian Ted Wells as they discuss the iconic work of the late architect Mark Singer at 6 p.m. Friday, Feb. 17. 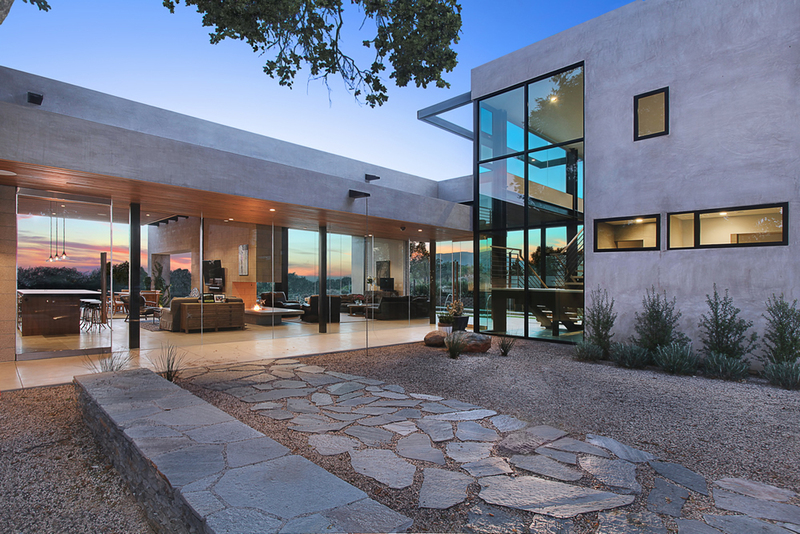 It takes place within a Singer designed home at 3213 Tyrol Dr.
Singer’s bold, contemporary designs helped to modernize the look of Laguna Beach. He designed and built hundreds of custom homes, commercial properties, restaurants and art galleries in a more than 30-year career. Over 100 guests saluted the 2017 Patriots Day Parade honorees at a recent brunch, the organization announced. The 51st parade will step off at 11 a.m. Saturday, March 4, following the traditional route from 625 Park Ave. and continuing on to Glenneyre Street and Forest Avenue. The 86 parade entries include 11 school bands. From left, seated: Grand marshal Aria Fischer and honored patriot Major Robert W. Sternfels, USAAF. 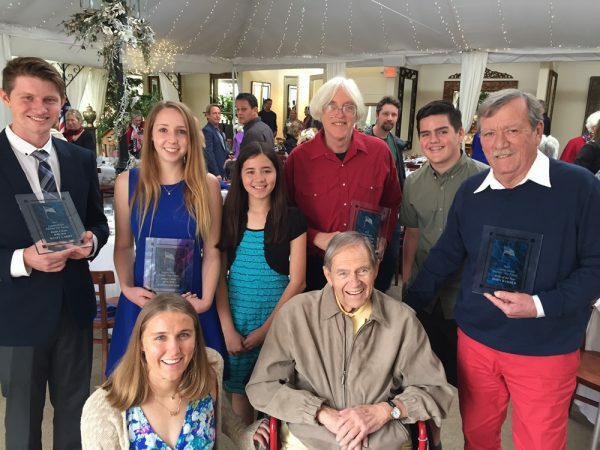 Standing, from left, junior citizens Wyatt Shipp and Madison Sinclair, essay winner Claire Tigner, citizen of year Douglas Miller, program cover artist Jared Ghetian, and artist of the year John Barber. Contributions to the Laguna Canyon Foundation are invested using a strategy that takes into account environmental, social and governance screens, says an announcement by the Laguna Beach Community Foundation, which encourages philanthropy through charitable organizations. “Actively choosing an investment strategy that reinforces our values as an organization is a decision I can stand behind with confidence,” said Hallie Jones, executive director of the foundation dedicated to the preservation of the South Coast Wilderness area. Offering so-called ESG funds is a significant step in differentiating the community foundation from other charitable advisors, said Dan Pingaro, LBCF executive director. A class learns about the native habitats in the Laguna Coast Wilderness Park last fall. City Council will consider a shift in policy when reviewing certain types of construction projects at its meeting Wednesday, Feb. 28. Proposed policies are meant to increase public review to address neighborhood compatibility and privacy for projects that involve significant exterior changes, new roofing or windows, said the city’s Community Development Director Greg Pfost in a statement. A council subcommittee felt more public vetting by neighbors of the home where the construction activity was to occur would be important, Pfost said. Questions on the policy can be directed to Nancy Csira at (949) 497-0332.